So how do we go about encrypting our backups? If we want to encrypt our backups, the first thing that we’re going to want to do is create a certificate to encrypt the backup with. Before we can create a certificate, we’re going to need to create a Database Master Key (DMK) in the master database. Certificates can be encrypted using either a password or a DMK. In the case of backups, the certificate used to encrypt them must firstly reside in the master database and secondly, be encrypted by the master database’s DMK. obviously, the password can be any strong password that you choose. Now that you’ve got a DMK, you can go ahead and create the certificate that we’re going to use to encrypt the backup. As we can see, we’ve got a certificate named BackupCert that was encrypted using the DMK. As you can see that it’s pretty much a standard backup statement with one little exception, the WITH ENCRYPTION clause. We have to specify two things here, the encryption algorithm and the certificate that we want to use to encrypt the backup. As of SQL 2016, the only algorithms that are supported are AES_128, AES_192 and AES_256. All others are considered insecure and you should avoid using them. The number after AES_ represents the algorithm’s key size, I’m not going to get into what that actually means here other than the bigger the number, the ‘potentially’ more secure the algorithm is, but on the flip side, it’ll also be slower. To be honest, AES_128 is easily good enough for the vast majority of uses, unless you’re a government or military organisation what stipulates one of the other flavours. So now that we’ve got our encrypted backup, do we need to do anything special when restoring it? Well, as the certificate that was used to backup the database is on this server, there’s nothing special that we need to do so go ahead and just give have a go at restoring it. Processed 336 pages for database ‘SQLUndercover’, file ‘SQLUndercover’ on file 1. Processed 2 pages for database ‘SQLUndercover’, file ‘SQLUndercover_log’ on file 1. RESTORE DATABASE successfully processed 338 pages in 0.100 seconds (26.333 MB/sec). So we’re happy that we can restore our backups, but what happens if someone comes in, steals our backup file and then has a go at restoring it onto a different server? Cannot find server certificate with thumbprint ‘0x0CCAD78D8D72004F34FB0D5466FBB2B4BA929AB0’. Because the certificate doesn’t exist on our little backup thief’s server, he can’t restore our backup and our data is now safe. But hold on, what happens if we need to restore the backup onto another server for some reason? Well to do that, we’ll need to first put the certificate onto that server. To do this, we’ll need to backup the certificate (which is something that you should always do with any certificates that you create). When you backup your certificates, make sure that you store them in a very secure place, these are essentially your encryption keys so you really don’t want anyone naughty getting hold of them. Now that you’ve got the certificate on the server (you did remember that it needs to go into the master database, didn’t you?) you can have another go at restoring that encrypted backup file. erm…. what’s that all about??? Well, the certificate, itself is encrypted by a private key. In order to be able to decrypt the certificate, we’re going to need to export the private key. It just so happens that we can easily export that private key at the same time as backing up the certificate. Notice that we’ve now included the private key in the backup statement, you’ll need to give a password to encrypt the private key with (keep this safe as you’ll need it when you import it into the second server). Lets get it imported, first drop the certificate that we restored earlier and restore it again but this time also importing the private key. So now that we’ve got both the certificate and the private key on the second server, we should now be able to restore the database. RESTORE DATABASE successfully processed 338 pages in 0.179 seconds (14.711 MB/sec). 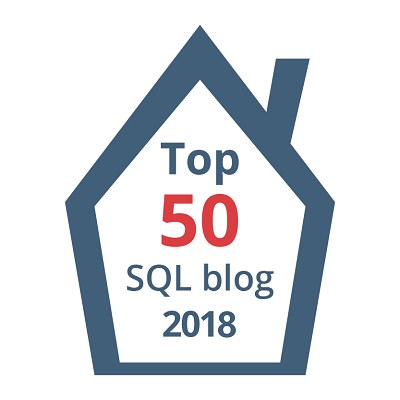 T-SQL Tuesday #101 – My day of Essential SQL Server tools. Pls let’s know is it possible with assymetric key.